Visitors often bring rocks and fossils to the Geology Department for identification. We love to solve the puzzles (or at least make the attempt), and our new friends appreciate names and ages for their treasures. (Usually. We’ve disappointed more than a few finders of “meteorites”.) Last week a home-schooling group came in from nearby Ashland with a tray of stones they found in a stream bed eroding an exposure of the Lower Carboniferous (Kinderhookian) Meadville Shale Member of the Cuyahoga Formation. 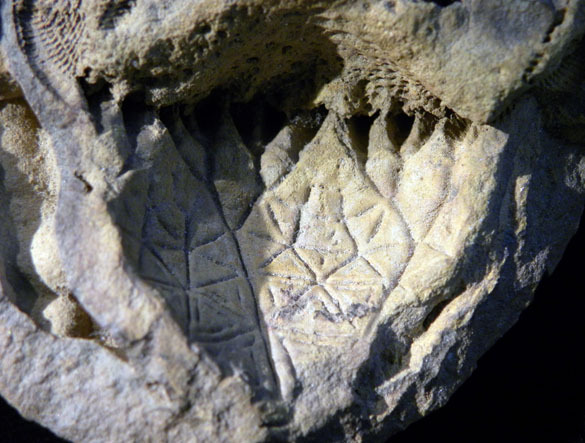 One of the objects was the spectacular fossil shown above. This is a calyx and the attached arms (essentially the “head”) of a camerate crinoid known as Cusacrinus daphne (Hall, 1863). 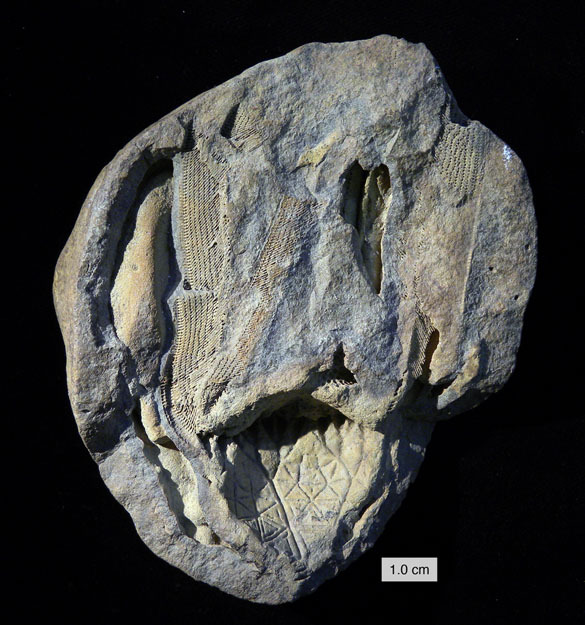 (Our friend Bill Ausich of Ohio State University provided the identification — these crinoids are his speciality.) It is preserved as an external mold, meaning that the actual skeleton was covered in sediment (or in this case a concretion) and then dissolved away, leaving a cavity showing a mold of its exterior details. It is a rare fossil to find in our part of the world. Above is a close-up of the calyx of Cusacrinus daphne (Hall, 1863). Note the radiating ridges on the exteriors of each thecal plate. They are characteristic of this species. These are some of the arms of the crinoid. They are complex because each arm is lined with tiny branches called pinnules, making feather-like extensions for filter-feeding. Thank you to our new Ashland friends for sharing such a beauty with us! Ausich, W.I. and Roeser, E.W. 2012. Camerate and disparid crinoids from the Late Kinderhookian Meadville Shale, Cuyahoga Formation of Ohio. Journal of Paleontology 86: 488-507. Kammer, T.W. and Roeser, E.W. 2012. 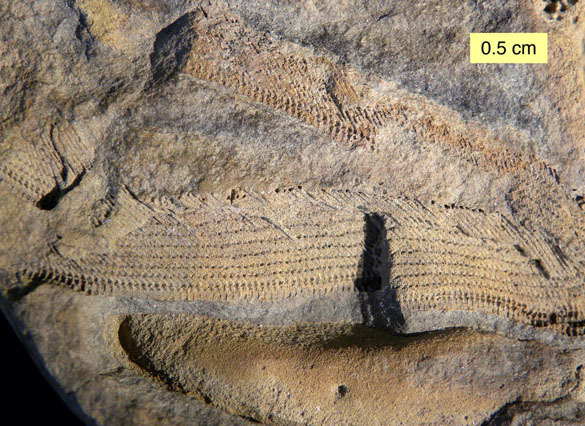 Cladid crinoids from the Late Kinderhookian Meadville Shale, Cuyahoga Formation of Ohio. Journal of Paleontology 86: 470-487.